This is a step by step process for affecting the villages of India to become a part of the spiritual revolution that could be developed across the country. Why worry about the villages? The 2001 census showed that India’s population has gone past the 1 billion mark. Nearly three-quarters of its population, 72.2 percent, live in its more than 500,000 villages, which are primarily dependent on agriculture. Its urban population of 285 million, 27.8 percent, is almost the equivalent of the total population of the United States. But we can see that a good majority of the Indian population lives in the villages. What follows are some effective methods to do this. These are not based on theories. These steps are already known to work. For example, one man I met, Mr. Rama Murti, had established temples in 120 villages with the use of the formula that I describe herein. Others, such as Kamal Kumar Swami, has gone on a six month Padayatra through hundreds of villages and towns that culminated in a massive rally at Tirupati that brought together 10,000 people to get them involved and connected with the Vedic tradition, and also protest the government takeover and control of some 30,000 Hindu temples in Andhra Pradesh. This method can work in many other places as well. C. Padayatras performed by the local Swamis and Acharyas who travel with other devotees or followers through the village, and where they stop and hold community programs. Otherwise, if the Swamis and Acharyas only stay in their temples, ashramas, and mathas, waiting for people to come to them, then they are only 50% effective. Swamis must engage in outreach programs wherein they go to the places of the people in order to show that they care about the villagers and want them to feel a part of the spiritual tradition of India. Such Padayatras can be done in a simple way such as in small groups on foot, or even more elaborately with bulls pulling carts with deities for puja, and booklets and flyers to hand out, or even an elephant, etc. Or even with vehicles and trucks with supplies. This way it appears like a festival is arriving. However, villagers will also appreciate the intimate feeling of a small group coming for a visit as well. The programs held in the villages by the Acharyas and Swamis should be very simple. Villagers often are not so educated, and few may know how to read, though this is changing. So we have to take this into consideration. Therefore, depending on the distribution of books or literature may not always be so effective in such places, though it is worth using when possible. But the villagers are often very sincere and easily impressed. Thus, the program can consist of starting with prayers and mantras, then telling stories from the Puranas, Ramayana or Mahabharata about the importance and value of worshiping God and the deity, which the people can easily understand. Such stories can also help show the significance of the tradition, and that devotees can experience a relationship with the deity—God or Goddess. Other stories of miracles or reciprocation between the devotee and God or the deity can be expressed as well since such occurrences often begin to take place when a person starts to establish a strong relationship with the deity. The arrangement for a program can be simple, as in everyone sitting outside together in a nice area, or if it is a small group in someone’s house. Or a pandal tent can be set up to make it more elaborate. If it is a bigger arrangement, the tent can even have a stage with a sound system. Then a more impressive and festive atmosphere can be invoked, however the intimacy between the Swami and the people should not be hampered. 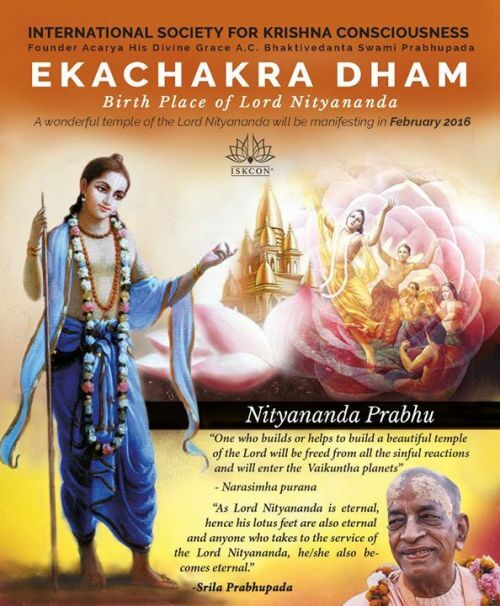 Such a Padayatra and pandal program had been done several years ago by Iskcon when their Padayatra went all around India, and it was very successful. This kind of Padayatra and festival program should be constantly going on across India. During the program, however simple or elaborate it may be, there can be bhajans of devotional songs, especially harinams—chanting the holy names of God, followed by puja and arati, ending with prasada distribution by the visiting Swami or devotees. Prasada can either be brought to the village, or the ingredients can be arranged to be cooked with the assistance of some of the villagers, and then distributed after it is offered to the deity. It is especially nice if it is the Swami who distributes or gives out the prasada to the villagers. This makes it all the more impressive. This leads to a most reciprocal and respectful atmosphere, and an arrangement for long-term relations and dedication in these villagers. Then the villagers can also invite others to attend such functions or programs to make it a larger gathering, with everyone coming to their local temple, if there is one, or some other location. Acharyas and Swamis going to the villages would create great respect for themselves amongst the villagers, and show their sincere caring and desires to reach out to the people. This is what the Swamis are supposed to do anyway, but many have discontinued doing this, or do it very little. And this creates an impression that the Swamis no longer care, or that the villagers aren’t valued. Then when someone else does come to the village, such as missionaries, the villagers become impressed by that gesture, thinking that at least someone does care about them, which also makes them vulnerable to listen to whatever other message is brought to them, even when it is a deliberate attack on their own culture and tradition. The Padayatra could be a program that is done 2 months out of the year, or through an area that would be in a 10, 20, or 30 kilometer radius out from their ashrama, or through a particular route, or up to the boundaries of another Acharya’s area of jurisdiction, if such other Swamis were also engaged in this kind of program. Or it could be done for longer periods to cover larger areas, such as the way Kamal Kumar Swami did it when traveling for six months. Another method that works to connect with the people is what the members of the Swadhyaya group uses, which is to go out every Ekadasi, twice a month, and meet with new people, families, and simply give them some association. Then discuss some Bhagavad-gita, invite them to the temple, or the larger gathering that takes place with others, and just be their friend. Then the families will appreciate the nice association and will want to associate with other similar people. This is the way to help others, provide honest friendship, and bring a higher level of purpose into their lives. And some of these members who do this are college age students. Another way of reaching out is to hold youth camps for the children and teenagers. This needs to be planned out, and many adults will also be willing to participate and associate with each other, providing even stronger relations with one another. The youth can also learn more about their own culture in the atmosphere of other young friends. It is always nice when the children can make friends with other children in an environment where they can all learn about and practice their own culture. Many groups do this quite successfully. B. Read to them stories from the Puranas, Ramayana or Mahabharata, something they may already be familiar with about their ishta-devata, whether it is Krishna, Vishnu, Rama, etc., and how important it is to worship such deities. C. Then, if or when they are ready, bring in a deity to the village. The deity can be brought to someone’s house, or let them take turns keeping it at their homes. This means that each family that will take a turn at keeping the deity will be taught the basic ways of taking care of the deity, and must promise to bathe before worshiping the deity and keep clean during worship, stay free from intoxicants, worship the deity at certain times of the day, learn what items to offer, and to abstain from smoking, eating meat, unnecessary criticism of others, etc., while the deity is in their home. 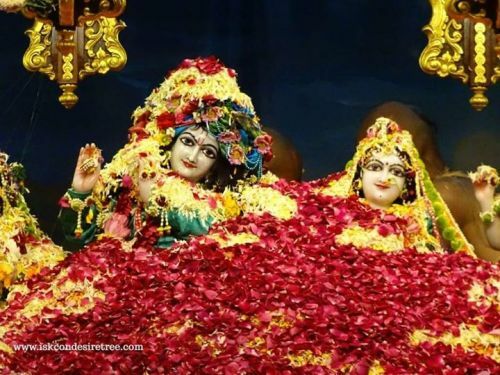 The place where the deity is setup must also be kept clean and proper. They should understand that it is a very special privilege to keep the deity, even if only for a week. The people often become very attached to the deity and will wish the deity to stay with them longer before going on to the next family. Miracles and benefits are often noticed while the deity is with a family, the stories of which spread to other families who then also take a more lively interest. The whole family is affected in a positive way. Transformations in consciousness are not uncommon. Also, programs with other villagers can be held around the deity at the home where the deity is staying. Such programs can consist of puja, prayers, recitation of stories from the Puranas, group kirtanas and the singing of bhajans to the deity, group cooking for making an offering for the deity, and then prasada distribution after the food has been offered to the deity. The villagers often start to get accustomed and attracted to such events. After a week with one family, the deity circulates to the next. In this way, from one family to another, this program creates attachment to the deity throughout the village. Eventually, the deity can have a special structure for worship, and centralizing the spiritual activities of the village. This can be used if building a separate temple is not feasible. Otherwise, the villagers can continue to get together for regular programs of kirtanas, bhajans, harinamas, and pujas at various locations or homes. The next step is building a temple for the deity in the village, if the villagers are ready for it. But at this point, the villagers must promise to never convert to another religion if we are going to undergo the endeavor to assist them in getting funds and material to build a temple for them. They must promise to always care for the deity. Only then we can help them build a small temple for the deity in their village. The temple should then become the center wherein the whole community can congregate together regularly and be supportive toward one another. It should also be a place where everyone can celebrate and enjoy the festivals, and know and discuss the meaning of them so the traditions are not lost or misunderstood. They should also be willing to share the beauty and joy of them with all others. Now, collecting funds and building supplies is necessary. As the temple is built and when it is finished, the temple becomes the center of the community’s spiritual activities and education, and the protection of the traditions. Once the temple is built, the deity is installed in the sanctum and one person of the village is assigned to be the priest, pujari, and is trained in basic deity worship for the newly installed deity, and for assisting the community members in worship and ceremonies. He can advance and learn more as enabled. He is also supported by the community to do his service to the deity and temple. If someone can be initiated by a Swami or Acharya, so much the better. Or if someone from the main ashrama can be assigned by the Swami to stay with the temple, that is also good. But that is not always the case. Building a temple is the final step in cultivating such villagers, but further and regular contact with them and encouragement must be maintained so they do not feel neglected or out of touch with the greater Vedic/Hindu society. This need is fulfilled by no better a process than regular visits by the nearest Swami or Acharya who should come to see them on a regular basis. You get each interested villager to invite ten more people to come to the temple, or to wherever the program is to be held. Then you establish a time when everyone can come to greet a special envoy who will bring a holy lamp or flame from the local Swami or Acharya. This fire will be placed in the temple and will light the sacred lamp in the temple. Thereafter, the villagers respectfully accept it and vow to keep it lit and protected in their temple, and used for pujas, and lighting other lamps, or the incense and ghee wicks for arati, etc. This rekindles the interest and dedication to the holy Vedic path amongst the villagers. This is, of course, dependent that such villages already have a temple or holy site. However, I still feel that it would be better if the Swami or Acharya bring the holy fire himself. This is more significant and will create much more interest and bring a higher degree of dedication in the participants. An additional step is to have an open-door policy of sharing the culture and tradition with all others. By this I mean anyone who shows genuine interest and sincerity to understand the Vedic tradition should not be excluded from participation in the temples. This also means that those villagers who may be considered of low rank or class should not be excluded from the temples. They should be allowed in to have darshan and observe and participate in the worship and programs. Many people are naturally interested and looking for the deeper spiritual truths found in the Vedic philosophy. An open door policy only helps give the opportunity wherein we can further our learning and understanding and participation in it. Separating sincere souls from the temples and the culture is only a prescription for a slow extinction of the Hindu population, and certainly decreases the people who are members of our global Vedic community. Naturally, if someone is only a critic and does not understand the Vedic tradition, and is not interested, then there is no reason for such a person to be allowed in the temple. But there are many sincere souls who have also been excluded, for no particular reason except status, rank, or birth. So if we are going to increase the general Vedic/Hindu population, then all souls should be allowed to feel peace, shelter, a sense of welcome and connection to the tradition through the temples. 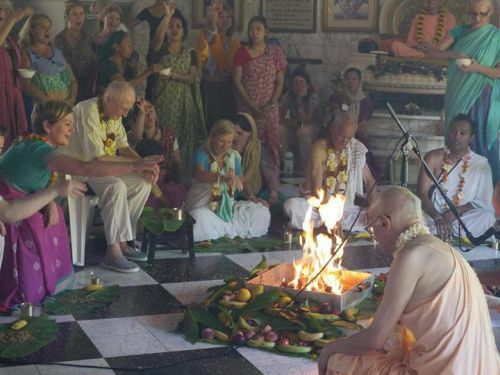 In another aspect of this, if someone is a foreigner and is interested in visiting a temple, then they can sign a paper saying they have respect for the Vedic tradition, or is indeed a devotee or Hindu, and then be allowed to enter the temple. But if the Hindu community feels they are an exclusive bunch that will allow only a few types of people to enter their temples, then gradually, over the following generations, they will all die out, along with the tradition. On the other hand, if we want to increase our strength, politically or in other ways, there is greater power in numbers. 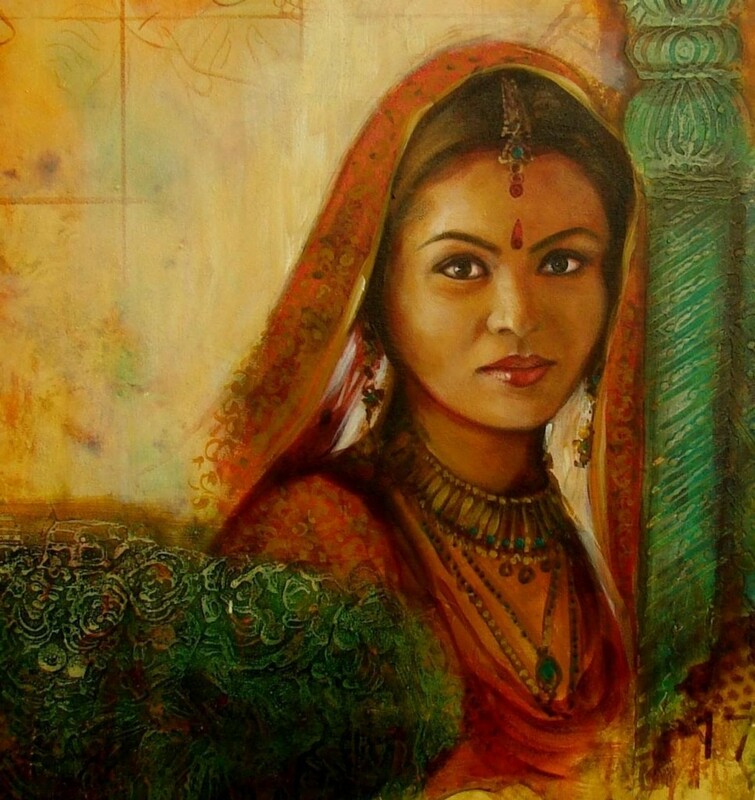 The more people we allow to have a stronger connection with the Vedic culture, then the more strength we have to preserve the tradition. This can be seen in the power we will have to vote in the proper politicians and leaders who will have greater respect for upholding the Vedic standards and temples, which are a historic part of India. When this happens, they will also be more concerned in upholding and protecting the rights and traditions of their constituents, as any politician is when he is worried about votes. In providing spiritual education for the people, especially in larger temples in the towns and cities, it is absolutely necessary that temples provide regular discourses and classes on a weekly or daily basis so people can increase their ability to understand and be conversant in the philosophy. Iskcon temples do this regularly, such as with morning classes and the weekly Sunday program wherein the whole congregation can gather together as a community for arati, puja, group kirtans, and class. Otherwise, Hinduism/Vedic culture tends to be most individualistic, and people come and go to the temples at various times throughout the day without much interaction with others. And this often goes on with little means of providing ongoing educational facility regarding the philosophy for the community. This is especially important in the villages where people may not know the intricacies of the philosophy, thus leaving them unaware of how profound it is. Of course, local Swamis should be at the center of this, but if they cannot be there to give class, or if the temple has no Swami, then CDs can be recorded and sold, along with books and booklets for individual hearing and study, to be used in classes. If Swamis are not available, then those who are also educated in the philosophy can provide such discourses, which is the usual case. The point is that bringing the community together for regular classes or kathas is an added and necessary feature that must be provided for the ongoing spiritual growth and understanding for the community. 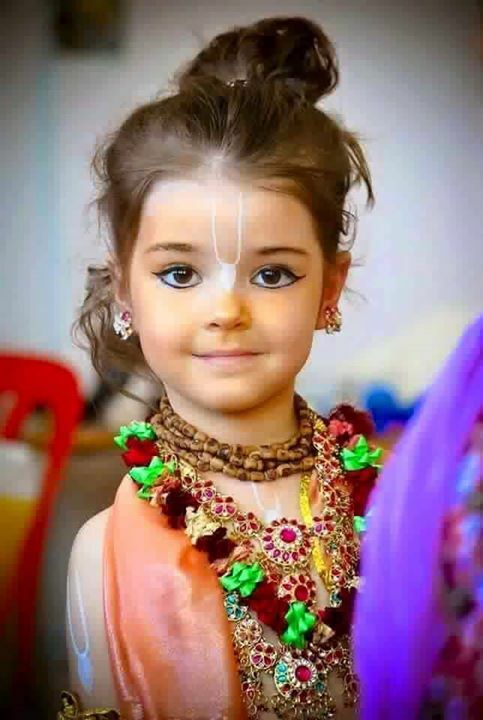 Thus, they will realize a greater depth in Vedic spiritual knowledge, the profound nature and beauty of the culture, and will be able to defend themselves philosophically when someone becomes demeaning or critical toward them or the Vedic tradition. They will also know more about how to pass on their culture to their children, who often will not accept the customs unless it makes sense to them. And making sense of things is possible only with the proper education about their own tradition. Book distribution is essential for the education of people in the culture and spiritual traditions. Of course, not everyone in the towns and villages will know how to read, but this is changing as each new generation is more educated. To distribute books such as Bhagavad-gitas that are in the local languages is very important. Other simple-to-understand books can also work well. For those who cannot read, having weekly classes to read and discuss the book in order to increase the people’s understanding of it and the philosophy can work well. This is especially good to do at the temple in groups. This setting, with everyone sitting together, provides a deeper sense of community and friendship, and commitment to each other and the culture. This can easily be done on a weekly basis along with the gatherings for bhajans and arati to the deity. A time should be scheduled for this every week, such as each Saturday or Sunday, or even each day when people can attend, such as the early morning or later in the evening for those who can make it. When everyone gathers at the temple, it is a perfect setting for such additional activities. Then each person can become stronger in not only their faith, but in their understanding of the culture and philosophy. People coming together in groups to hear, study and discuss the deeper spiritual aspects of the Bhagavad-gita or other texts can also help chip away at any caste differences, or social classifications that seem to perpetuate unnecessary disparity between members. This is a major deterrent in India’s and Hinduism’s unity and cooperation, and ruins any hope for collective progress. So this kind of group study and gathering can help bring about the process of changing the way everyone views each other. Another way of reaching the villages has been started by the TTD management at Tirupati. After reaching out to Dalit colonies with ‘Dalita Govindam,’ the Tirumala Tirupati Devasthanams (TTD) management has now taken up ‘Matsya Govindam’ which is aimed at fishermen hamlets dotting the long, coastal belt of the State, starting from Tada in Nellore to Itchapuram in Srikakulam district. For the first time in the country, a target group hitherto considered alien is being trained in temple rituals. The idea apparently sprang from the concern over the collapse of the temple system and Hindu form of worship in the coastal belt, mostly inhabited by members of the fishermen community. The coastline spread over nine districts has been found to have 213 temples in 187 villages. While 20 were dedicated to the Shakti or Veerabrahmam cult, the rest are ‘Ramalayams,’ mostly in a dilapidated condition. The move gained pace with the fishermen community itself complaining of ‘poaching’ by other faiths in the coastal belt. The president of Kakinada-based ‘Matsyakara Sankshema Samithi’, Koduru Jayaram, had presented this idea to the TTD to save the Vedic temple system by training the members of the community in priesthood. “The programme will also help in getting the fishermen into the fold of mainstream Hinduism,” Bhuman, Director of the TTD’s Sri Venkateswara Employees Training Academy (SVETA) told The Hindu. The idea is that whoever is trained to be the temple priest, however simple his duties and knowledge may be at first, will engage in a week-long training session. Therein, the priests-to-be will have to wake up before dawn, perform sankirtan, yoga, meditation, recite slokas and attend classes. A practical follow-up session is likely to be included in the module later. Then, after becoming fixed up in the temple program and with rekindled interest in their Vedic heritage, they become the full time priests of the temple and help the whole village in this manner. The Swadhyaya group, who base much of their philosophy on Lord Krishna’s teaching in the Bhagavad-gita, also does this in the villages around Mumbai, and afterwards also help the village men who are interested to find alternative careers to fishing. So this is a system that has much potential. There are many additional ways to provide assistance to the villagers or people in general, who often get through life with only the barest of necessities. Something that has been beneficial in many areas is to organize a fund raising drive amongst people you know, or find sponsors to bring the villagers together to distribute blankets, clothes, and similar items that they need. Some temples do this on a regular or annual basis, with much appreciation by the villagers. A friend of mine has also sponsored a medical truck that drives around to the different villages. It is a mobile clinic which houses most medical facilities for doing regular diagnosis up to small operations. It works with a driver, a nurse and a doctor. They pull into a village, usually on a particular scheduled day, and the villagers line up to attend to their needs. The doctor and nurse perform treatments right there, or give medicine as needed. More serious cases can be taken to a hospital. But many villagers are far away from cities and cannot get regular medical treatment in other ways. So this mobile clinic is extremely effective, and does not cost all that much to operate. Another method is to organize medical and diagnostic camps in central villages or towns so that people from the area can attend to get examined or get some attention to their medical needs. Blood drives are also viable for members of a temple congregation to supply blood that may be required by those in need. Often times, villagers cannot afford the simplest of things that they need to survive. And these simple methods outlined here can supply the means to take care of them without the need for foreign interests or those of other religions to get involved. This releases them from the threat of conversion tactics being applied, which is often the case when people of outside religions get involved, and then provide medical facilities or basic needs with the intention to convert the villagers to their religion. This is in regard to the rally that was organized in Tirupati on January 25th, 2008, wherein up to 10,000 people marched through the streets, and then gathered at a venue with other Dharmic leaders, Swamis, Acharyas, and guests speakers. The purpose was to protest the government’s taking over management of some 32,000 Vedic temples in Andhra Pradesh, and what it was doing with temple-owned land and other assets that belonged to the temples. This is a way each individual can stand up and take a position for changing the future of India and protecting its culture. It is a way of bringing the people to the forefront. It is a way of showing the government that it is time to change its ways and policies, and give Vedic temple management back to the Hindu majority, instead of establishing temple boards that have Muslims or atheists on them who obviously care little about the proper upkeep and operation of the temples. Having such rallies is a way of rekindling the defensive spirit in the general mass of Hindus or Dharmists. However, remember, this method can also work in other states of India and for other purposes as well. It is especially powerful when the people see that Swamis and Acharyas care enough about them that such saintly men will personally pay a visit to their village, either on the Padayatra or otherwise, and participate in such rallies. It invokes much enthusiasm in the people who then are more than willing to participate in worship, programs, or rallies with similarly enthused people. It can and has created a powerful force for the cause of Dharma. As it happened, through this kind of rally and protest, the government of Andhra Pradesh gave 30,000 of the temples back to the Hindu majority, but kept 2000 of the most profitable temples for themselves, which is still being contested by the people. Furthermore, what the government has done, or allowed to be done with the temple’s assets and properties needs additional investigation. But at least now the government knows they cannot do whatever they like without being watched and questioned. (C) Unite voters to bring in a better political representative for the indigenous culture, or vote out those who are ineffective. Such a group for these purposes should be established in every village, if possible, to encourage people in this way, and to provide a means by which they can all stay connected and informed. In this way, the huge rally and march of 10,000 bhaktas of all ranks through Tirupati, which received coverage in every local newspaper, along with radio and television, would surely also get the attention of all the politicians. Then, follow-up meetings with the Andhra Pradesh Chief Minister, Mr. Rajashekhar Reddy, were scheduled in which the concerns were presented for restoring the temples to proper management, as well as the legal and constitutional grounds for why this should be done. Bringing 10,000 people to the march showed the support that such an issue has with the people. Therefore, Mr. Reddy’s concern and cooperation would be important, otherwise the next step would be to take it to the courts, which someone like Dr. Subramanian Swamy would have no hesitation to do. Bringing it to the courts would then publicize all the more the affair and the unequal views that Mr. Reddy has toward Hindus and their temples, compared with the churches that he seems to favor. But having and establishing the means to give the management of the temples back to an honest and purposeful committee is essential, and not to a government formed group that would only continue the plunder of temples and their assets unabated. “During the first Maha Padayatra, Sri Kamal Swamiji covered 3200 kilometers by foot, visiting close to 2500 village Mandirs in half the districts of Andhra Pradesh. The Second Maha Padayatra is scheduled to begin in August, 2008 and this will take him to the rest of the Districts and villages, this time covering 5000 kilometers. “At each village, we have been able to identify the group of people who supported the cause and have exhibited great enthusiasm and Bhakti, forming reception committees at grass root levels. These have been connected to the respective District level of the Hindu Devalaya Parirakshana Samiti. No wonder, we had 8000 simple Bhaktas visiting Tirupati on January 24 for the Bhakti Sangamam meeting. Voluntarily. “Sri Kamal Swamiji will now visit all these villages, which he visited during his Padayatra, by car. He will meet the people, and thank them for their support to the cause. Reinforce their devotion. Give them the required confidence and direction. And at each village form the Hindu Devalaya Parirakshana Samiti officially. Getting the committee members in place and in working order. The structure starts from the bottom, with a strong foundation and grows upwards into a super-structure. The Organization Chart will be in place, drawn meticulously to become functional. These committees will be represented by Bhaktas from all caste configurations of each village, giving representation to ALL Hindu Bhaktas. “During the next Padayatra, he will form similar committees in each village he visits. Thus we will have the Hindu Devalaya Parirakshana Samiti committees spread into close to 5000 plus village Mandirs in Andhra Pradesh. “These committees will be affiliated to their respective District Units which will in turn be affiliated to the State Unit of the Hindu Devalaya Parirakshana Samiti. “Our aim is to currently demand the government to drop the idea of the formation of its Dharma Parishad [government formed committee]. We want the government to hand over these Mandirs and its administration to the Hindu Devalaya Parirakshana Samiti. With the presence of our Samiti at the village and district level, we will be in a better position to initiate the resuscitation of Nithya Pujas in these Mandirs. The Samaj will come forward to bring the Mandirs back to their pristine glory. It is a test to the truth of the Bhakti of each Hindu, as we achieve our goal within a time frame of three years from now. “Believe me, each of the Mandirs will be on its way to its original glory. These will unite the Hindus. We will all come together, learn to manage our own Mandirs and, thus, our own religious and political affairs in the long run. Now, can you begin to imagine how strong the Vedic culture would become if such actions would be initiated and taken in many other parts of India? This is what we need to consider and begin to take the necessary actions that are most appropriate in every part of India. These are ideas that can be expanded by those already engaged in such activities of protecting the culture and preaching it for everyone’s benefit. But they could also be used by those who have remained in the complacent classes of India, who have not done that much, yet have grumbled that someone should do something about the situation and give the villagers a reason to remain in the Dharmic community. I’ve gotten those kinds of emails from people, which is another reason for me to write this paper. Well, here’s your chance to become active if you can get yourself started and make a plan and carry it out. Choose your strategy, either from any of these that are presented herein, or make new ones, and work with others to make it a reality. It can make a big difference and inspire others to do something as well in whatever part of the country in which you reside. There is plenty of opportunity for everyone to pitch in and help. For example, college students who want to become active in protecting and sharing their own culture can also take time to assist in educating villagers with stories of the Puranas, Ramayana, etc., or in helping build temples, raise funds, buy books, medical supplies, etc. You can show your enthusiasm by your example. Indian students who are becoming lawyers can also help engage in efforts to stop the Indian government from taking over the management of temples, or assist in other related and legal issues. Professionals, such as doctors, dentists, and others in the medical field from the Indian community, both in the United States as well as in India, could also help and donate their time or vacations to medical clinics in India, or act in other various ways. Others, such as architects, engineers, etc. can assist in the building of temples, medical clinics, or simple houses for people where needed. There are those who are already acting in this way, such as donating funds for the Ekavidyalaya, the one-teacher schools in tribal or remote villages, or the Global Hindu Heritage Foundation, who contributed much for the campaign to preserve the temples in Andhra Pradesh. So the structures and plans have already been put together for some of these areas of need, but there is more to be done. Even though I’m in America, I’ve still gone to India to do lecture tours to speak to crowds, and appear in newspapers and on television to try and do my part, and show that even we Westerners are most appreciative of what India and the Vedic culture has offered to the world. I show that I have taken up the practice of the Vedic traditions, and also have written numerous books and articles like this one about India and its ancient knowledge and customs. In this way, I show myself as a role model and inspire Indians, no matter where they may be, big cities or small villages, Tamil Nadu or Nagaland, so that they will hold great respect for their own culture and realize how profound it is. Often I am quite surprised at how much appreciation they show for what I am doing. And India is where I have learned about and participated in the activities that I have herein described. That is why I’m now writing about them with the hope that this article can inspire others who reside in India, or elsewhere, to do something more. Other Westerners who have taken to the Vedic culture, and who are educated in various aspects of it, can also go to speak. Or, for those who are trained in Bharata Natyam dance, perform at festivals or other times, and show themselves to Indian Hindus as positive role models who have taken up the practice of Vedic culture. Of course, I realize that this article is far from complete. There are many more ideas that can be developed and utilized, and I will no doubt be adding to this from time to time. Other areas of improvement should include college presentations, city temple congregational expansion, spiritual education in the form of philosophical seminars and conferences, and more. But the ideas that are described herein are effective, they work and can be duplicated elsewhere, only if other devotees, Hindus, and Dharmists will take up the cause and help others. This is also the way to help ourselves in preserving, protecting, and promoting our Vedic culture. Remember, we need to keep India the homeland of a dynamic and thriving Vedic tradition in cooperation with its modern technological and economic advancements. Balaram Briant: I have always wanted to make a short film from a poem. We have music videos; why not poem videos? I wrote this poem and made the film using footage from the few years that I had the good fortune of studying in Gurukul in India. I was inspired to write this poem about some of the things I’ve been going through in my life, but I believe it’s really about the experience that we all have in this material world.